This creative Services WordPress theme will bring an idea to real products then make your business more successful with amazing design! 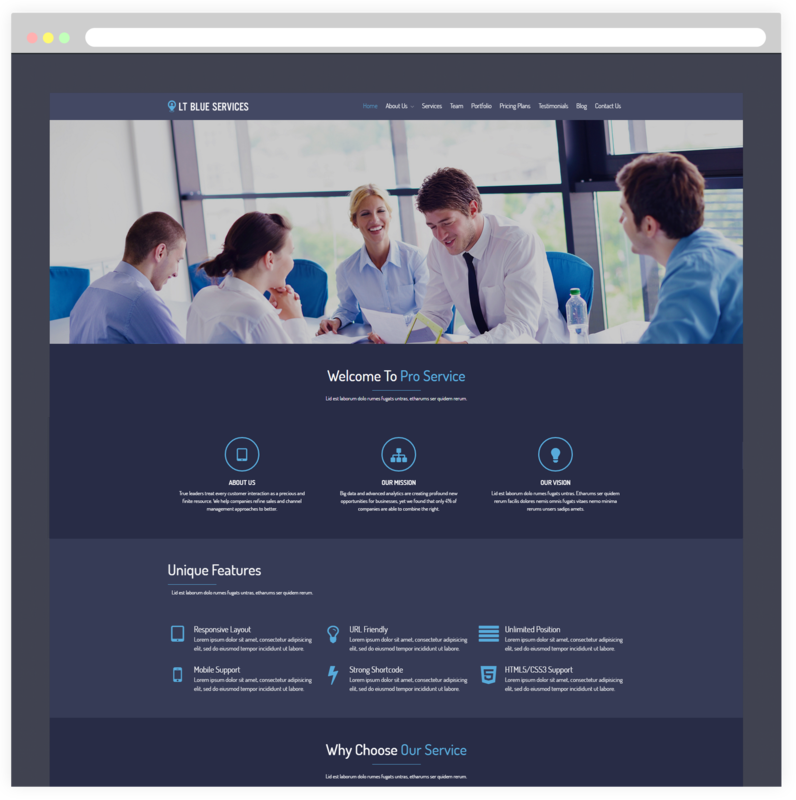 LT Blue Service Onepage is a free single page version of LT Blue Service WordPress Theme (multi-page). 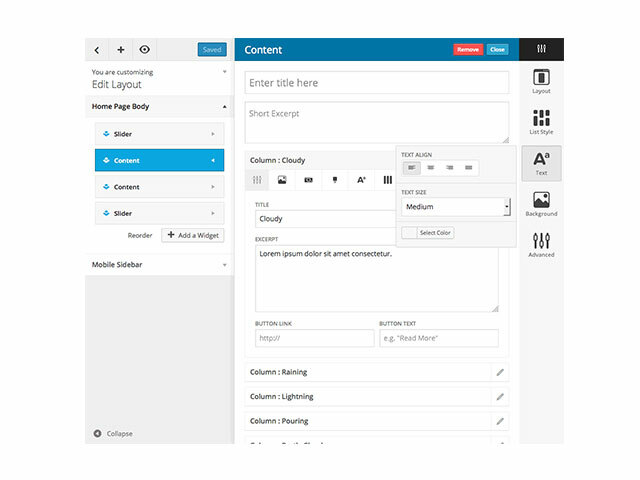 Based on powerful framework with fully bootstrap supporting strong shortcodes, Bootstrap CSS & Hybrid framework, drag-drop layout content, so this theme will be your strong partner to attract more visitors to your site. .It aims to vary kinds of business, portfolio and services websites. 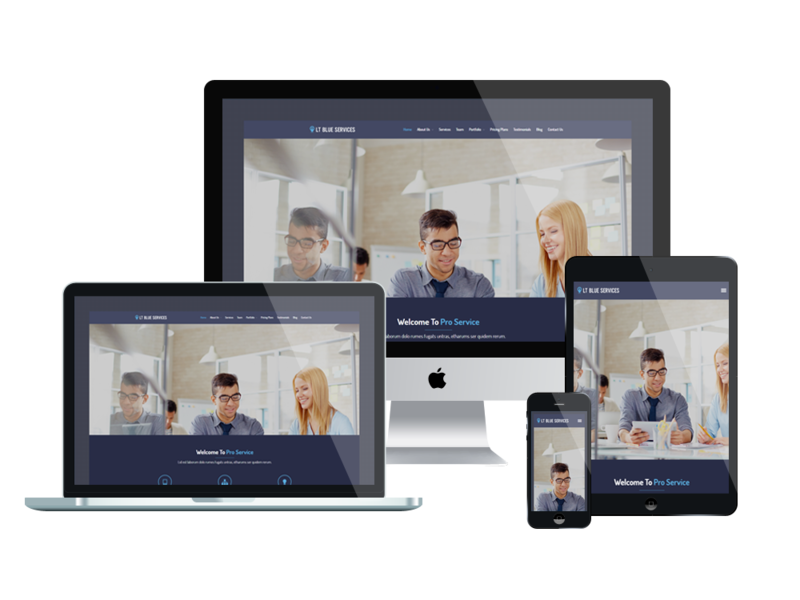 This is a simple and adaptable responsive theme with focus on professional services, relationships, business strategies, team members and more. LT Blue Services Onepage is promised to bring you many ideas to real products for you. With this theme, your site is ready to display on any mobile and tablet devices with 100% responsive layout, clean and stylish. Besides, Service WordPress theme is also a highly customizable WordPress theme with unlimited color options and admin panel color picker. Go and grab the theme now!